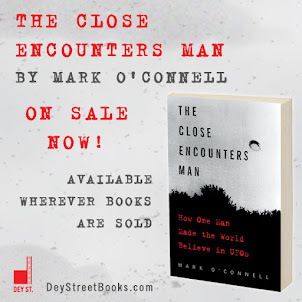 I have written here before about my Uncle Bxx and his experiences at Area 51 ("Area 51 Decoded," 9/18/2011). Well, my Dad recently sent Uncle Bxx a copy of my UFO article in the January issue of "Milwaukee Magazine," and my Uncle was so moved by the article that he emailed me again to add one more interesting twist to his story. 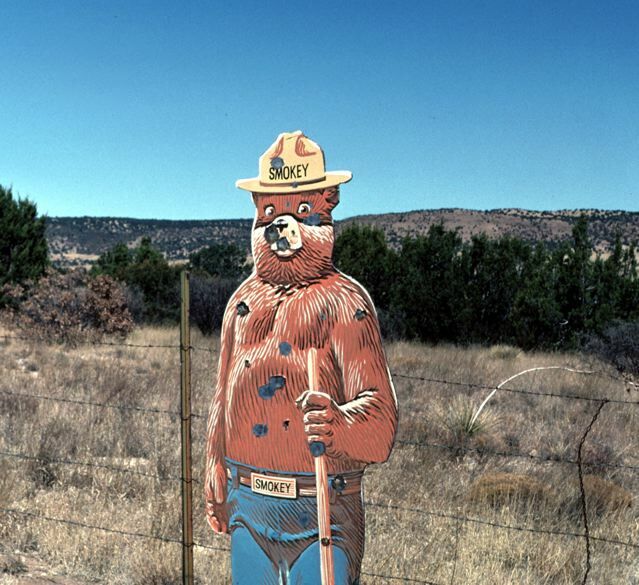 In his email to me, Uncle Bxx said, "(I) have driven near, and flown over a number of times the area where the Roswell incident took place, other than the fact there is a sign in the shape of a bear, along the highway, where the historical 'Smokey Bear' was found during a forest fire, there is not much else to see. 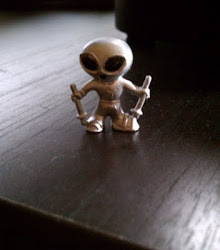 But of course the bullet holes in 'Smokey' might be the result of an alien attack." I know snark when I read it, I just didn't know my Uncle was so good at it. 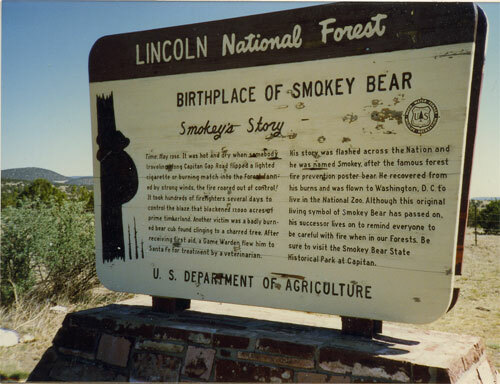 I found two pictures of Smokey's birthplace, and I include them both here. When I took a look at the actual signs I realized that he may be on to something... The signs are both wrecks! Bullet holes? Try death ray burns. The official story is that Smokey was found badly burned after a massive forest fire in the hills near Roswell, alive but apparently orphaned. This took place in 1950, just three years after the Rowell UFO crash, but the sign seems to have been written by the same crack PR team that was put in charge of the UFO crash cover-up: "It was hot and dry when somebody traveling along Capitan Gap Road flipped a lighted cigarette or burning match into the forest, and, aided by strong winds, the fire roared out of control!" Aside from the fact that this sounds as though it was written for "The Big Book of Forest Fires," it offers an explanation that is just a little too dumb for me. Who was this "someone?" Was it a match or a cigarette? Where did these "strong winds" come from? I can explain that forest fire in three-and-a-half words: "Alien Clean-up Crew." Then I would add five more words: "arriving three years too late."